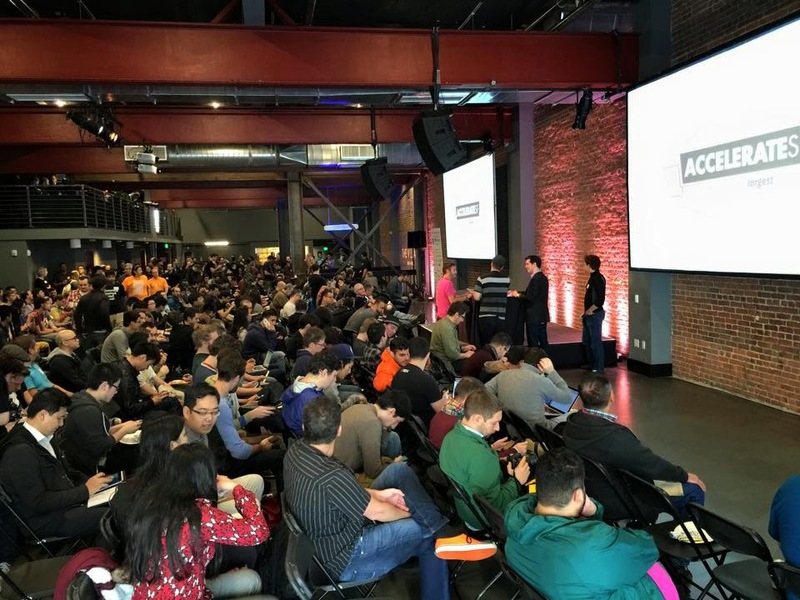 I've done the hacking at Accelerate SF 2015 Hackathon held as a part of DeveloperWeek 2015. Our project has won the prize for Microsoft's OneNote challenge! The hackathon was huge. 450 developers hacked in one place. The project is: Escape from F5. 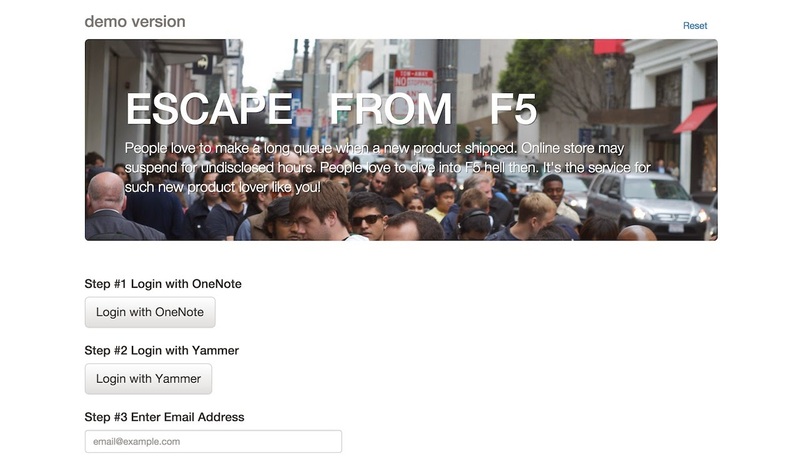 Both OneNote account and Yammer account is required to test at the demo version. The project is backed with Microsoft OneNote API, Yammer API and Mailjet API. It's my first time to run OneNote API. The REST API is designed simple and easy for developers to use. It also has an interesting and unique feature called "data-render-src" attribute which could capture any webpage rendered. Without the feature, I have to spend more hackathon hours to prepare an environment and implement a capture engine instead. It was announced that the project got the OneNote's challenge prize, at last. 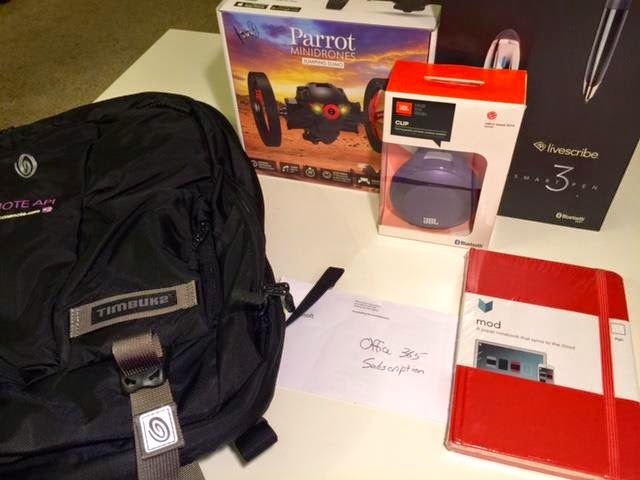 I got the prize pack including cool gadgets as below! Yatta! 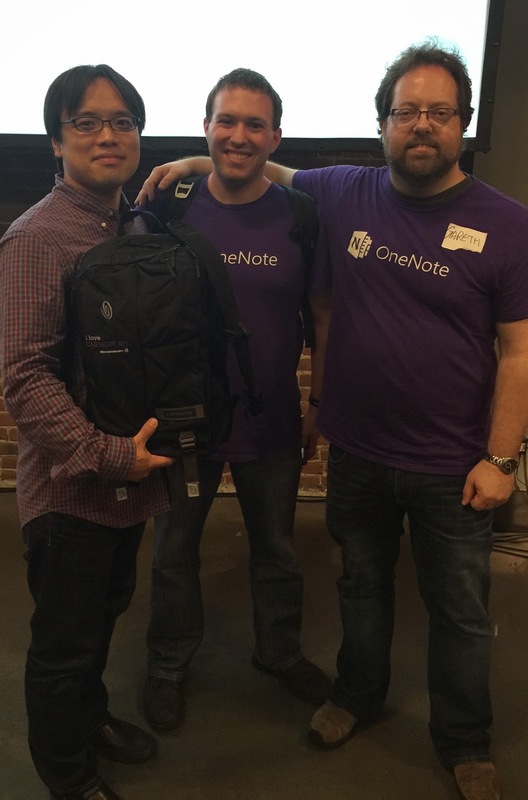 Thank you, Gareth, Steven and Microsoft OneNote API! By the way, it's interesting for me that two of the top ten projects are real-estate related services. It indicates the BayArea's rent rate increase is a big problem for developers as well. +1: Every team have some of chances to give a pitch on a table (but not on a stage). Judges could give feedbacks in person. This could be great to run a growth cycle. +1: Less "hacking for money (investment)" and more "hacking for fun" teams compared to other hackathons such like TechCrunch and angelHack. I love both culture however. -1: Unstable Wi-Fi. I have connected through my iPhone hotspot instead. -1: Three floors separated. Less chances to talk with teams working at the other floor. I've enjoyed the great event, anyway. I'm at SF until this Thursday midnight and back to Tokyo then.